Workwear Scrubs is back this season with the boldest of colors to fit your Spring and Summer needs. These strong hues are the perfect addition to brighten up your wardrobe. 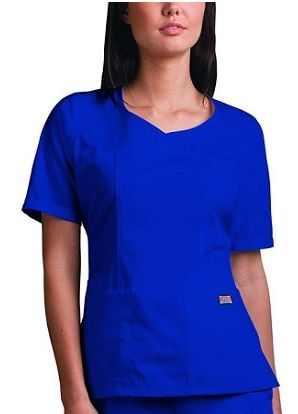 This Workwear Novelty scrub top features a stylish bias crossed v-neck with a slightly curved front yoke, princess seams, front patch pockets and cell phone slot. The side vents, back elastic and sleeves that hit right above the elbow work together to create a flattering fit.